3. 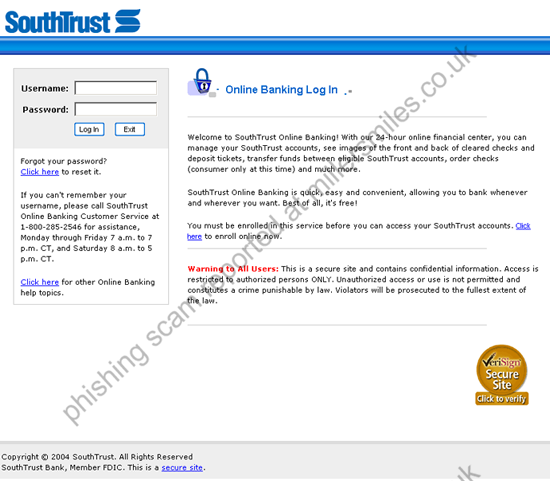 URL of spoof website disguised as " Login to Online Banking Account ".
" 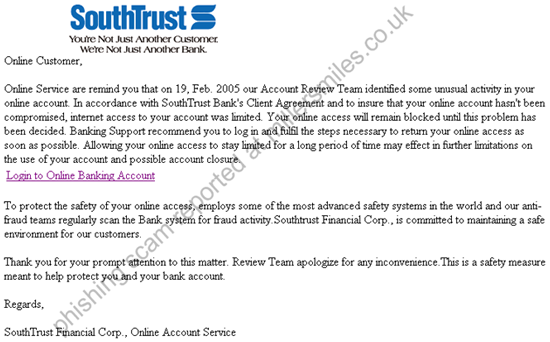 Online Service are remind you that on 19, Feb. 2005 our Account Review Team identified some unusual activity in your online account. "